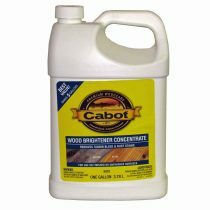 Cabot® Problem-Solver® Wood Brightener is a concentrate liquid cleaner used to remove the discoloration from exterior surfaces that are caused by tannin bleeding found in cedar and redwood. The brightener also removes rust stains caused by nails and other metals. With weather wood, the brightener can bring back the “new wood” look. 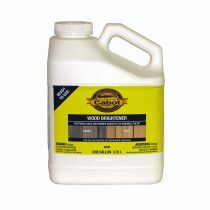 Cabot® Problem-Solver® Wood Stripper is formulated to remove oil-based finishes from fir, pine (treated and untreated), cypress, redwood, and cedar. 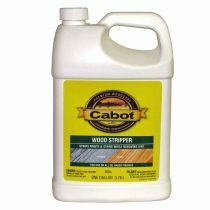 To stop the stripping process, use Cabot® Problem-Solver® Wood Brightener (8003). The stripper can be used on outdoor furniture, decks, railings, steps, and siding. Ready to use liquid for removing tannin staining, rust stains, and extractive bleeding. 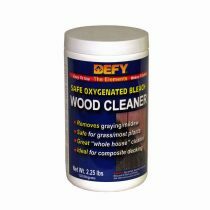 Helps bring wood back to its original color by removing the graying effect. 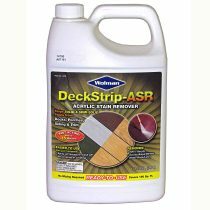 Can be used on fences, decks, and siding. 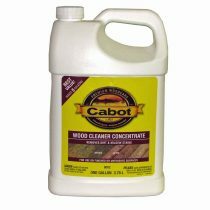 Ready to use liquid cleaner used to remove mold, mildew stains, dirt, algae, and other material from exterior surfaces. 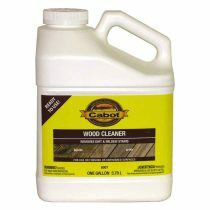 Can be used to prep wood for painting and staining. Ready to use liquid stain stripper. 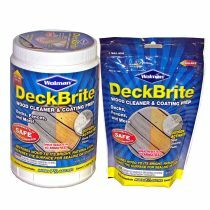 Restores all types of exterior wood by removing worn surfaces. 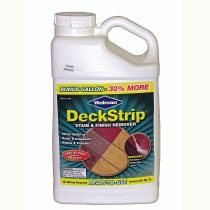 Removes water-based or oil-based clear and semi-transparent stains. 2.25 Lb. powdered concentrate that mixes with water. Concentrate make 5 gallons. 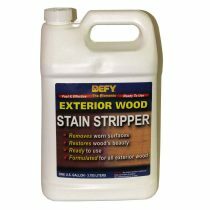 Removes many stains and gray weathering. 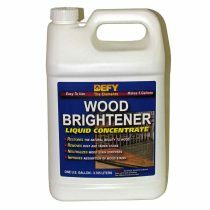 Safely restores, cleans and brightens exterior wood. One gallon liquid concentrate. Makes 5 gallons. 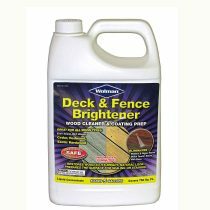 Used on all exterior wood types to clean and brighten. Helps remove rust and tannin stains.